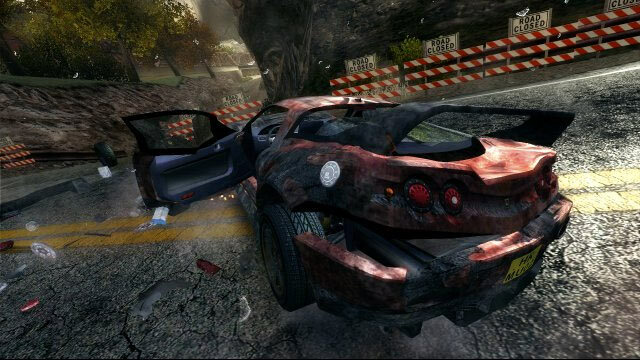 You have no idea how long i've searched for the Burnout 2 music.. since i played the demo. Specifically the "Ocean" Sprint track, it's just so awesome and pumps you up when you've got a sweet burnout combo going. Any chance on an update for getting the music? Thanks for any replies! Did you try the link Cooper put up? You nmight have to try it two or three times. I think the music is cooler when you use boost. EDIT: Zom - B Why did you just change your signature, the other one was cooler. Yeah i got the Main menu theme from Coopers post, it's pretty cool but i'm looking for the Ocean music. Cheers for the speedy reply! Did the page even open for you? Yeah? Technically it's not a page though, it's a direct link to the .mp3. Worked for me! The one that Super Poi just put up? Ah i'm getting people mixed up. The MegaUpload link that Super_PoI posted doesn't load, just a blank screen..
Thats what I was asking, ok because I thought the page was coming up and you didn't think it was up there because that what I thouhgt but then I found it. Super Poi doesn't visit that often but you can send him a PM so he will notice. Two songs if anyone's interested. Credit goes to iceydragon for them. OMFG... iceydragon is ****ing awesome... these songs rock, as do the rest of the songs on the B2 soundtrack. Any way you can get the rest of the songs? I like that one on the point to point course from the highway up to the mountains... don't remember the name but the song is cool. Cool stuff, but it was recorded way too loud, if you record it at about half volume, you can just turn it up in a media player or audio editor, that way it won't cause distortion and popping. Bass was over the edge just a little. Thanks to IcyDragon though, whoever he is.